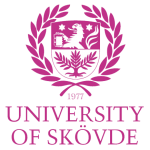 Ever since the beginning in 1977 the University of Skövde has aimed for excellence. Every decision, every achievement has been part of a focused effort in creating excellent and well-known/recognized educations and research specializations that have an impact on everyday life. We are a modern and welcoming university, with first-class education and internationally competitive research, a place where we strive for the greatest accomplishments. Jernkontoret. The project includes comprehensive production data analyses that are unique for the field. In many countries arsenic in food is a major problem. But researchers at the University of Skövde in Sweden have now identified two genes that may play a crucial role in how arsenic is stored in plants.